Here is the canvas which measures 8″ square and 2″ deep. My base was some torn old book paper adhered with matte medium.I started layering on acrylic paints and watercolors using brushes, old scratchcard, and my fingers. 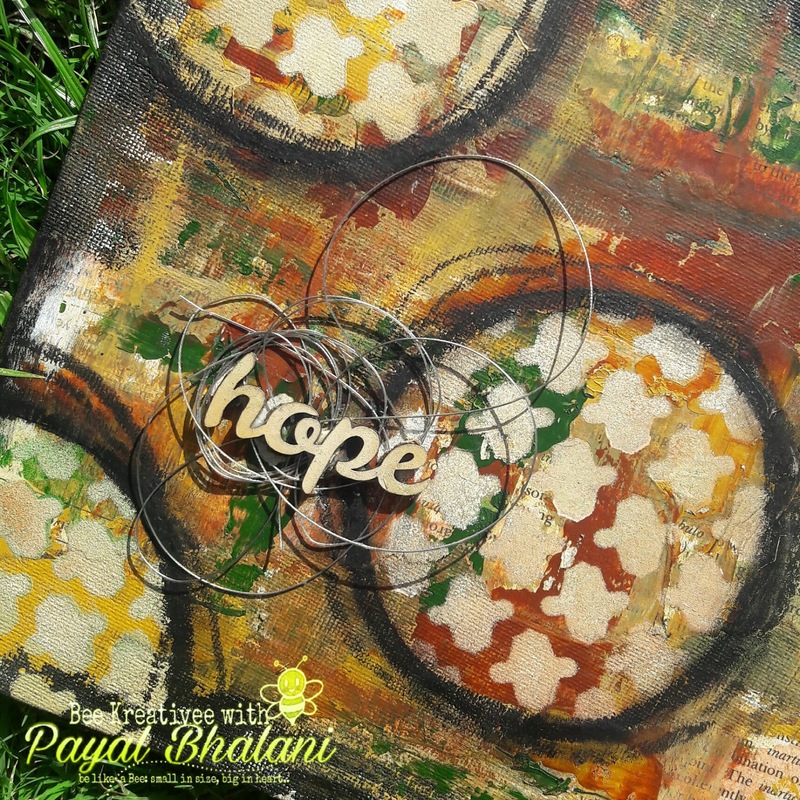 After that i did some masking technique with Tim Holtz's stencil + bright shades of acrylic paint using a sponge also paint my wooden chipboard ''HOPE"' with bright shade. 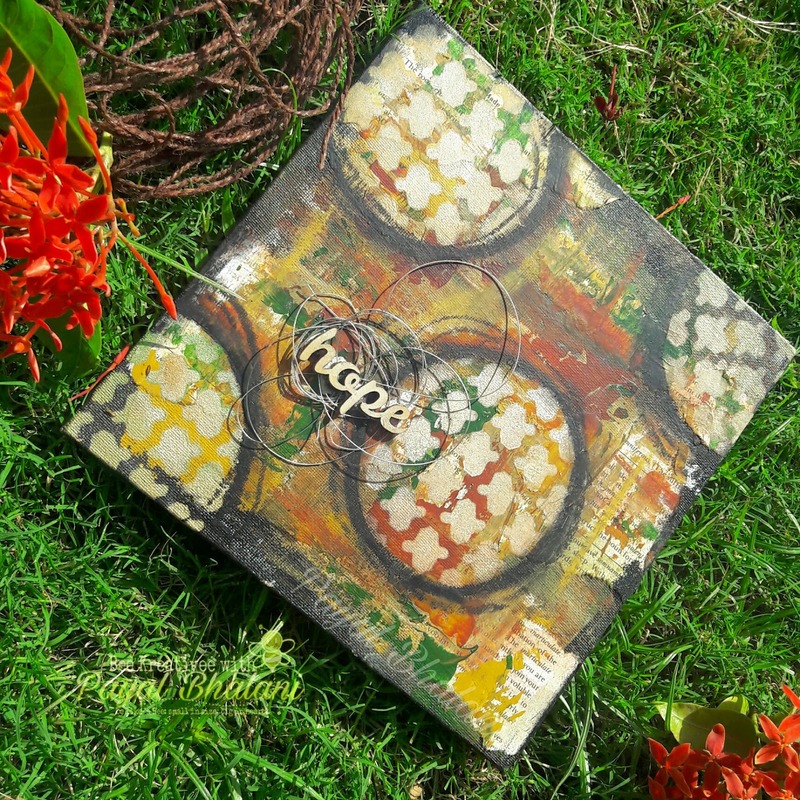 I did last layering with oil pastel colors & its make my canvas more beautiful. I used some mettle wire and adhered those with chipboard to give it complete look. thanks for visit.. leave your love..